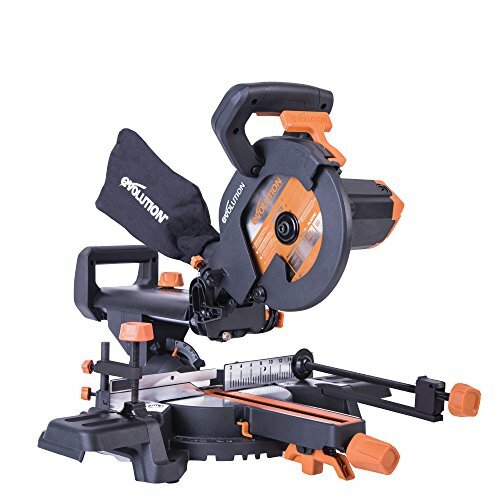 The new Evolution R210SMS+ Multi-Material sliding mitre saw is a fantastic new addition to the already wide range of power saws that Evolution offer. One thing to note when you first set eyes on this model is how it looks. Many mitre saws including the older Evolution Rage saws all look alike. The R210SMS+ looks really modern with the black finish on the body. If you like to have a nice clean and tidy looking work shop this is going to be a great addition. The robust handles and cover go with the finish to give a tough over all look to with the fantastic build quality. This model comes in a 110v or a 230 volt version which is really handy. If you need to take it onto a building site then the 110 volt model is perfect but for most of us that need it for home use the 230 volt model will be fine. The power cable that is supplied is three metres long so you are very rarely going to need an extension lead to move around. These two points might seem like trivial points but give a real advantage over a lot of other similar models. If you are looking for an all round saw the blade on this is brilliant. The TCT tipped 24 tooth blade is designed to cut wood, metal and plastic. For most jobs this will cover everything but it also has other benefits like not having to de-nail wood before you cut it. 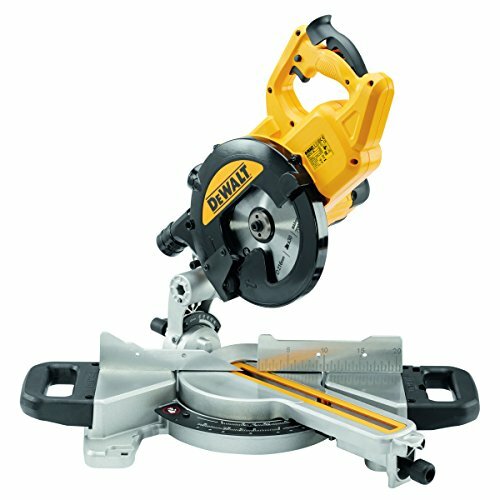 Mitre saw blades can cost anywhere from £10 upwards to £30 plus. 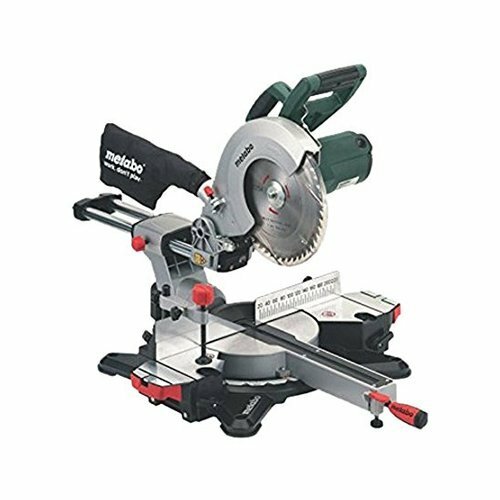 This saw is already good value, so add to that the fact that you will only need one blade and not need to buy extras it really is great value for money. This is plenty of power to deal with most jobs and should last a decent amount of time. There are better and more powerful motors on some models like the Makita DLS714Z but none of them are anywhere near this price point. 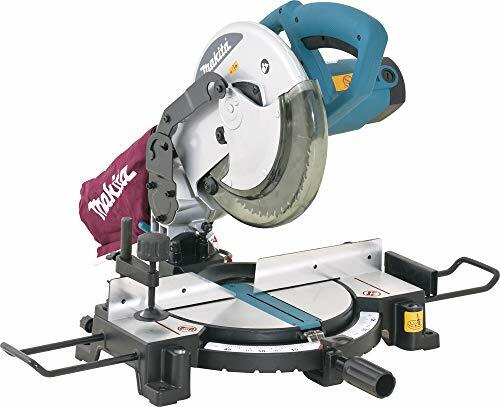 If you are looking for a mitre saw to use constantly every day you may well want to consider something a bit more powerful. The Evolution R210SMS+ is a single bevel saw that will cut angles of up to 45 degrees. This is plenty of most of us and the single bevel is plenty unless you are looking to work at speed with a number of different cuts. The mitre angle can be set to 50 degrees on the left and right side. The laser guidance helps you line up the cuts which is a real help, this is a brilliant feature at this price point. A double laser would be nice but it’s not something that you will get at this level of power saw. If you are working in a dusty or low light area the laser will really help. The maximum cut size for this model is 65 mm deep (2.5 inches) and 230 mm width (9 inches). As with all mitre saws bare in mind that if you set the cutting angles to anything other than 0 degrees it will limit the cutting size. There is also a really handy height adjuster to allow you to do accurate trench cuts. A dust bag is supplied in the box but to be honest if you really want a dust free environment you could use a hoover or a proper dust remover. A slide rail protector is also provided. This is not for user safety but to stop anything damaging the rails. Many models have exposed rails which if damaged can alter the quality of the cut or stop them working. This model has some great reviews on many sites, Amazon rates it at 4 out of 5. We think it’s a great saw, so lets see what some other owners have to say. The one comment that always re appears when it comes to Evolution power tools is value for money. They are very hard to beat. Versatility is where the R210SMS+ really comes into it’s own for many. Out of the box it tackles so many jobs. One thing noted is that the instructions are not the best that are included. We would always encourage buyers to go onto the Evolution website to watch some of the product videos as well. They are often more helpful than the instructions! 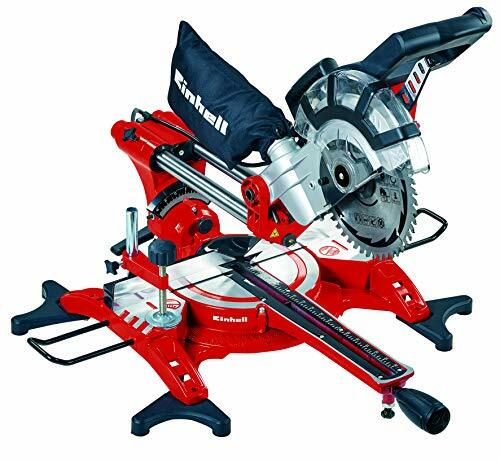 Well it is difficult to argue that this is another fantastic mitre saw from Evolution. 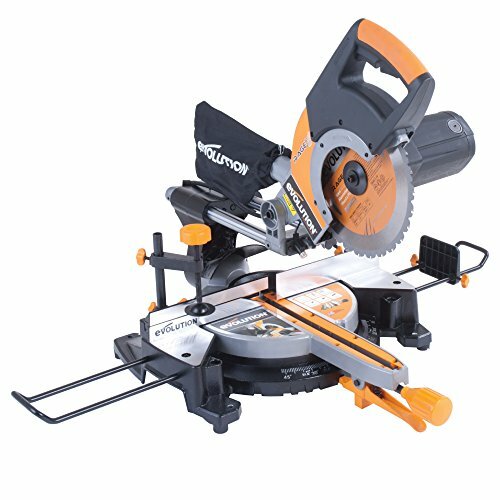 This middle of the range version is amazing value for money and has the power to match many saws that are a lot more expensive. In our opinion the DIY users would find it hard to purchase a better and more effective saw for the money. If you are looking for some really high end features then it maybe worth stepping up to the likes of a Bosch, Makita or Dewalt. But think hard before you do as you may well be wasting your money. Looks and design wise it is great. The modern and robust build quality will last you many years. We think a it’s a top buy.